In what's becoming an annual trend, an Apple employee has yet again left an unreleased Apple handheld in a California watering hole. As you may recall, a hilariously similar event occurred last April. The then-unreleased iPhone 4 was found in a bar in Redwood City, California, sold to Gizmodo for the princely sum of $5,000, and the gadget site pulled down millions of page views with its exclusive coverage of the phone. It also incurred the wrath of Apple's legal team, but the site was eventually cleared in court, leaving Apple kicking rocks and glumly cursing fate for spoiling its big reveal. One would think this might dissuade Apple from ever allowing its new gadgets to roam outside of its Cupertino campus, but apparently that's not the case. 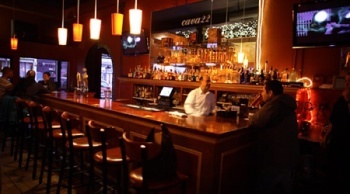 According to CNet, the phone went missing in a Mission District tequila bar called Cava 22. Though the company traced the phone to a home in San Francisco, they were unable to find it at the residence, even after offering the homeowners cash and pleading for the device's return, no questions asked. The current whereabouts of the gadget, presumed to be the iPhone 5, are still unknown, though Apple and local police continue their search. I think it would be rather obvious at this point to slam Apple for lax security practices -- you all can likely handle that in the comments -- so instead I would like to again point out the massive traffic generated by Gizmodo's acquisition of the iPhone 4 last April. Admittedly, two California residents are now facing down misdemeanor criminal charges for selling the thing to the Gawker affiliate, but James Chen still scored the biggest story in recent memory. All without a single disparaging word about Jon Finkel. Well played.